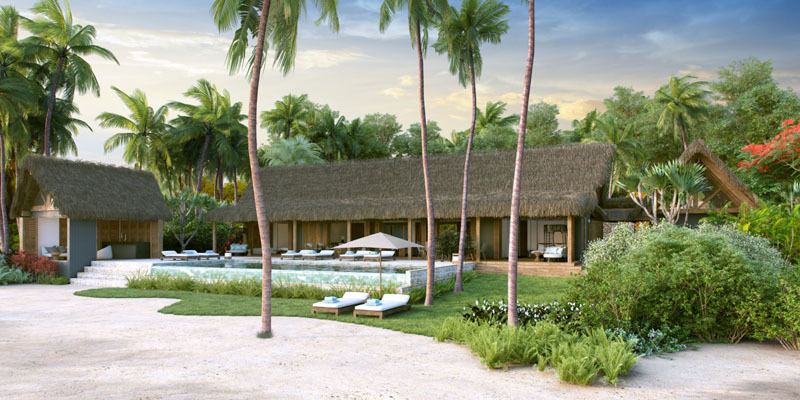 We celebrate the arrival of Fiji’s newest luxury resort experience. Essential resort facts below. 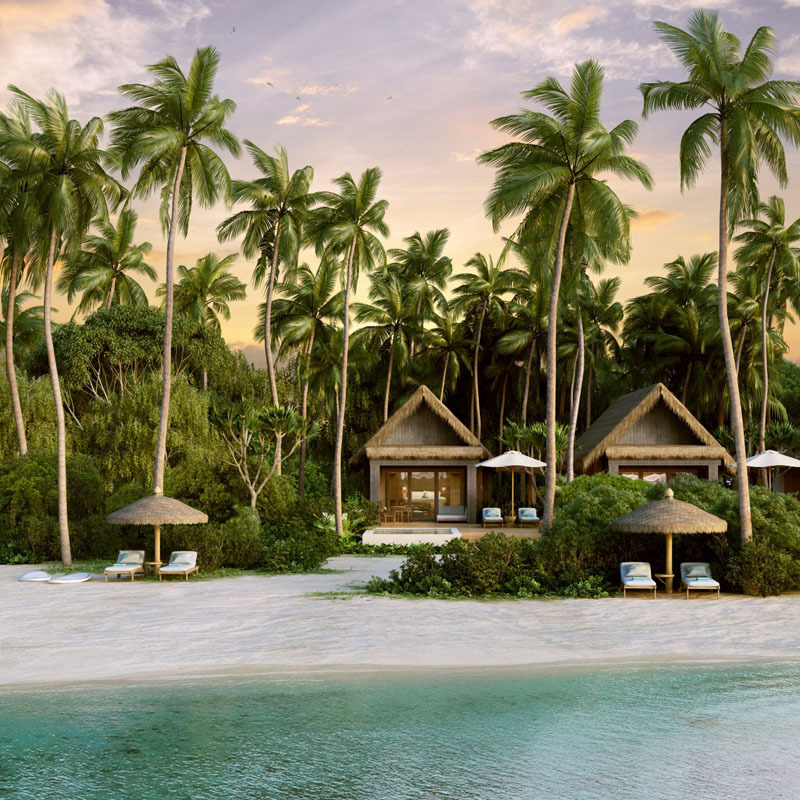 We welcome the Six Senses Fiji family to the Fiji Islands. Managed by a renowned luxury hotel group, this new escape on Malolo Island is sure to be a luxury lovers paradise. 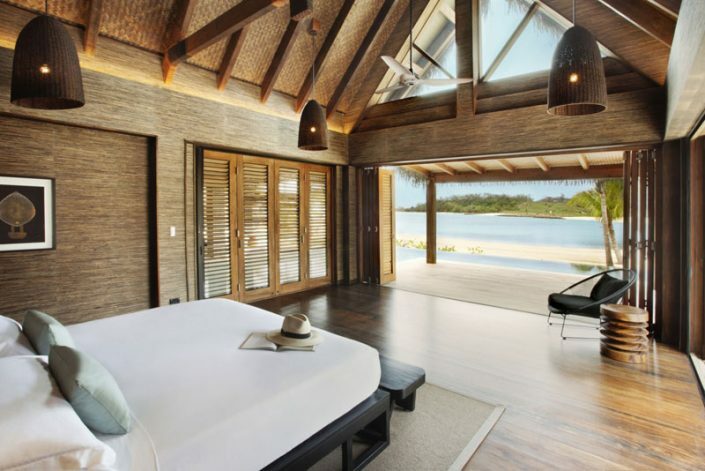 We’ve had our ears to the ground since the announcement Six Senses was making a home in Fiji. And we’ve made a collation of “Fast Facts” – the most up to date information available on this new Fiji resort. What we love the look of so far. Getting away from it all is closer than you think. The location boasts an ‘outer island’ holiday feel yet it is still accessible from the mainland in just over 30 minutes. 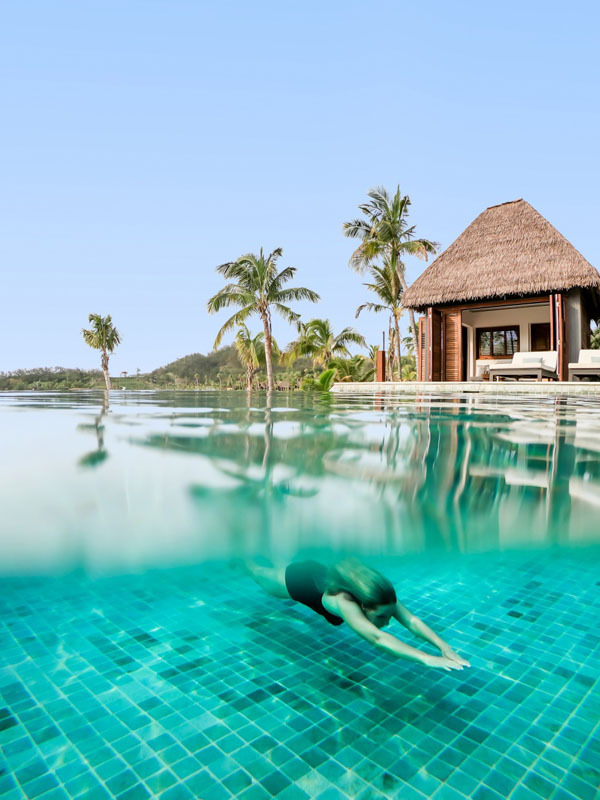 With less travel and transfer times, the resort is a great option for families with young children and will become popular for travellers looking for last minute long-weekend or short stay escapes. A beautiful, expansive beach site on Malolo island with lush green garden and ocean views are yours to enjoy as you wander throught the resort. Not a pokey hotel corridor in sight. 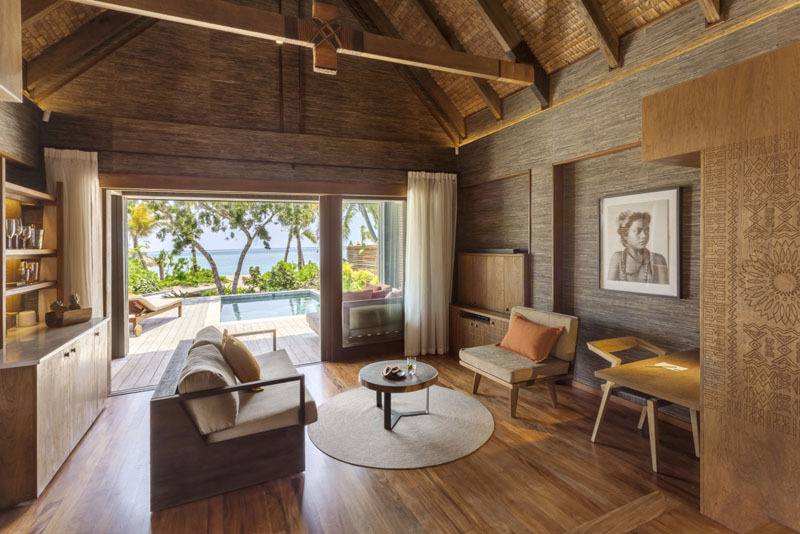 Nowadays, Fiji’s no stranger to resorts implementing a high-end Butler service for their guests but one thing that excites us is when resorts do it differently – enter Six Senses GEM service. 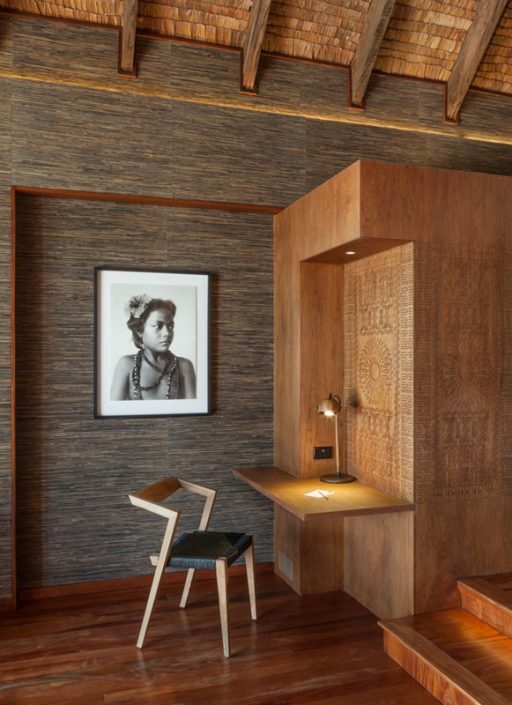 GEM stands for Guest Experience Maker – their unique spin on a resort’s butler service. With all guest whims and wishes answered, and out of the ordinary experiences created, we can’t wait to check in and meet our Maker. Heaven. 2. Smart Technology. Keeping it green. In true Six Senses style, the resort is keeping it green with their commitment to being a 100 percent solar powered property. To achieve this end, the resort will boast the largest microgrid in Fiji to use Tesla batteries. 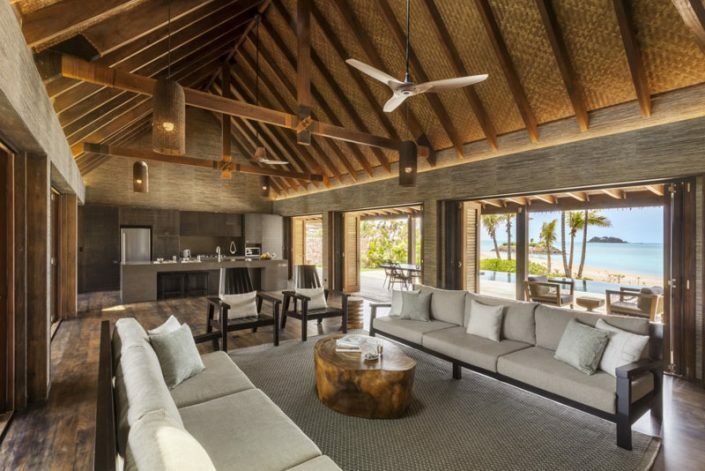 Staying at a resort that cares enough to make use of natural power sources will make you feel like a responsible eco-tourist without excluding any necessary tropical island creature comforts such as airconditioning. Very cool indeed. We like there’s luxury on equal footing where every guest enjoys the well thought out accommodation touches. Aside from extra bedroom and living space to accommodate for larger family groups, whether 1 bedroom or 5 bedrooms, everyone languishes in a similar level of luxury. You won’t find green with envy Mr & Mrs Smith sulking by the main pool wishing they kept up with the Jones’s and booked a private plunge pool villa. All are equal in this luxurious world. The resort has vacancies from the opening date (14 April 2018) and is now on sale with a pre-opening special. If you have questions, you call us. 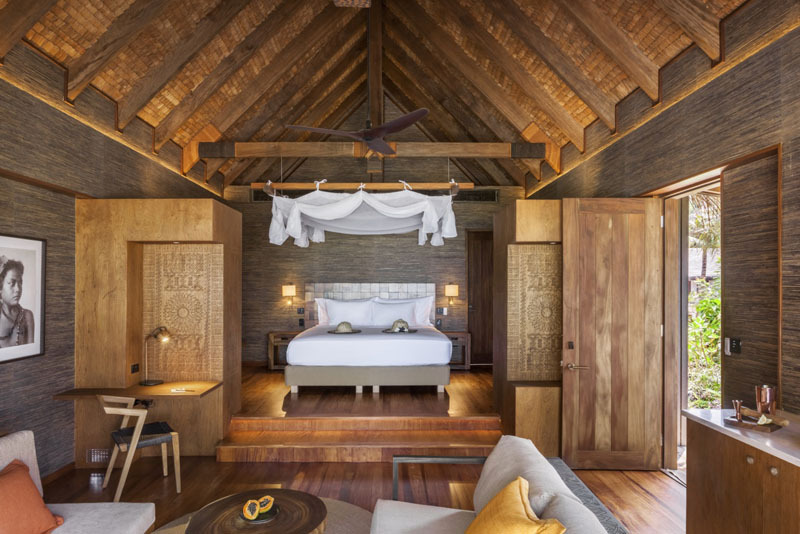 Six Senses Fiji opening date is set for 14 April, 2018. Grand opening offers on sale now. 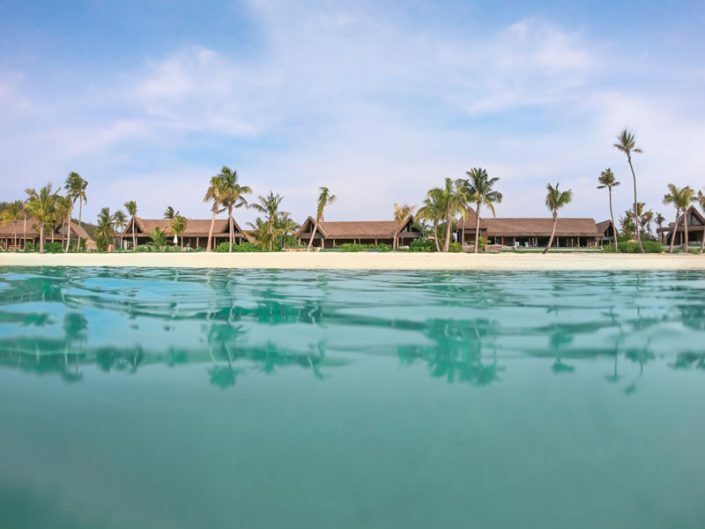 The resort is situated on Malolo Island, Mamanuca Group, FIJI on a beautiful expansive beach. 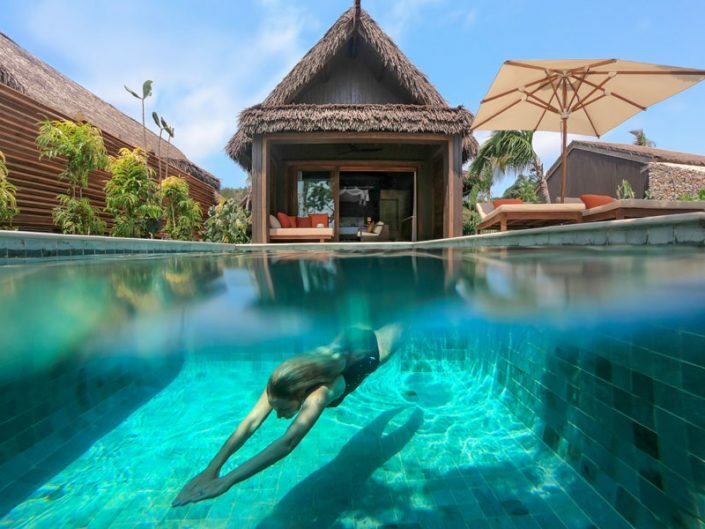 All transfers are provided by Six Senses. 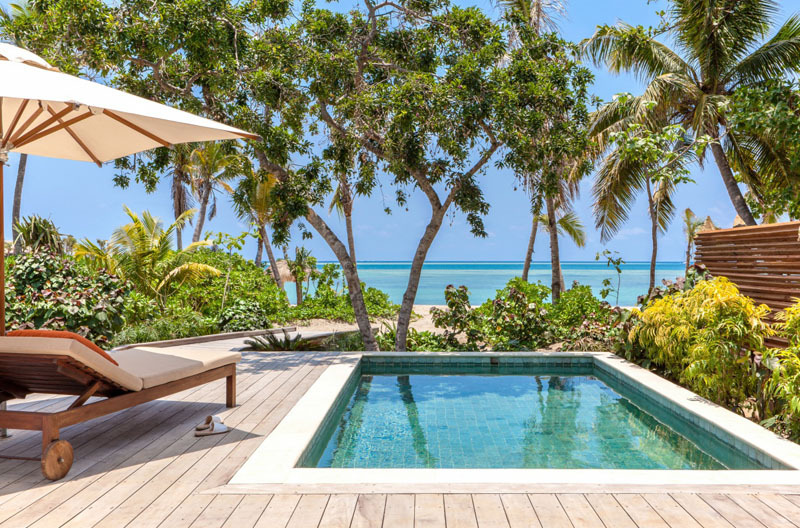 Travel from Nadi Airport is a mere 30-minute drive to Port Denarau, where you can hop on the Six Senses speedboat for a 35-minute ride to the private marina at Six Senses Fiji. 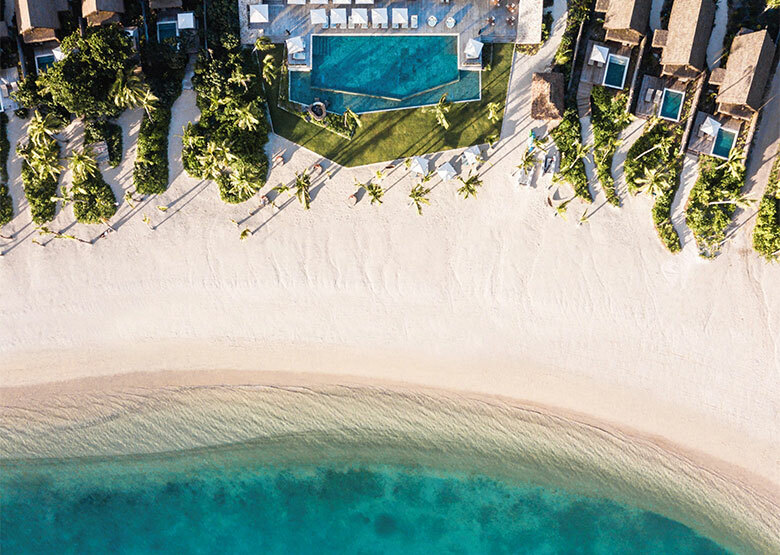 Or choose a private Helicopter transfer directly from Nadi Airport landing at the resort’s private helipad (approx 15 mins). Maximum occupancy – 3 persons except Hideaway Pool Suites. 2, 3, 4, 5 Bedroom accommodation in private garden, marina or beachfront locations. Perfect for small and large families. Two Bedroom Hideaway Pool Suite (6 in total) – Max. occupancy – 4 pax. 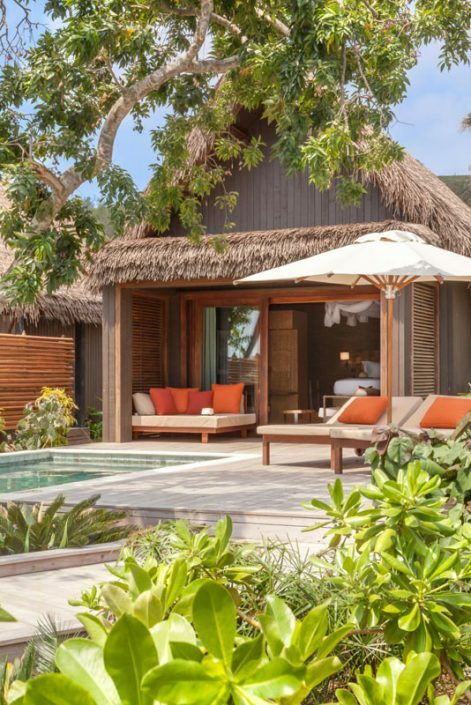 An expansive suite set in lush gardens with two pools and two living areas. 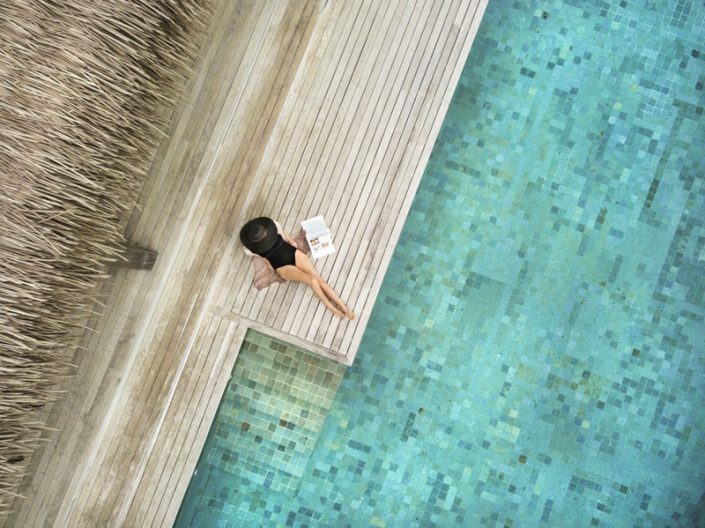 These are created by combining a Hideaway Pool Villa + a Hideayway Pool Suite (see above). Sea level location set back from the beach. Marina Pool Residence (2 in total) – 2 and 3 bedroom with max. occupancy of 4 and 6 per residence respectively. Set on the edges of the marina with views to luxury yachts and private boats arriving at the resort. Oversized private pool. Marina location 5m above seal level. 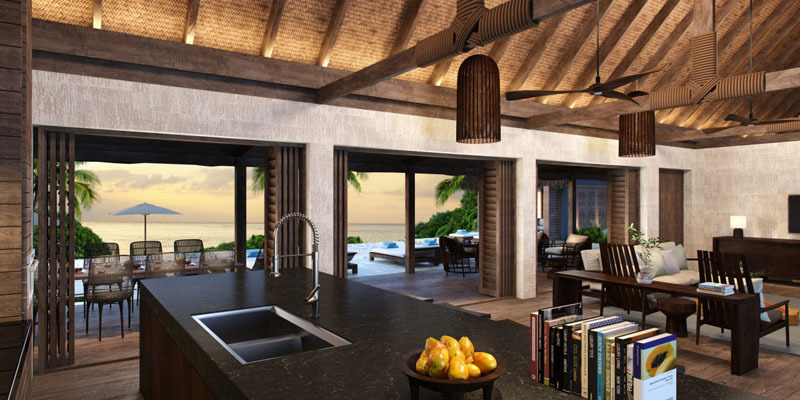 Oceanview Pool Residence (4 in total) – 2, 3, 4 and 5 bedroom with 4, 6, 8, 10 max. occupancy per residence respectively. Hilltop location at the highest peak or at the edge of the resort with panoramic ocean views. 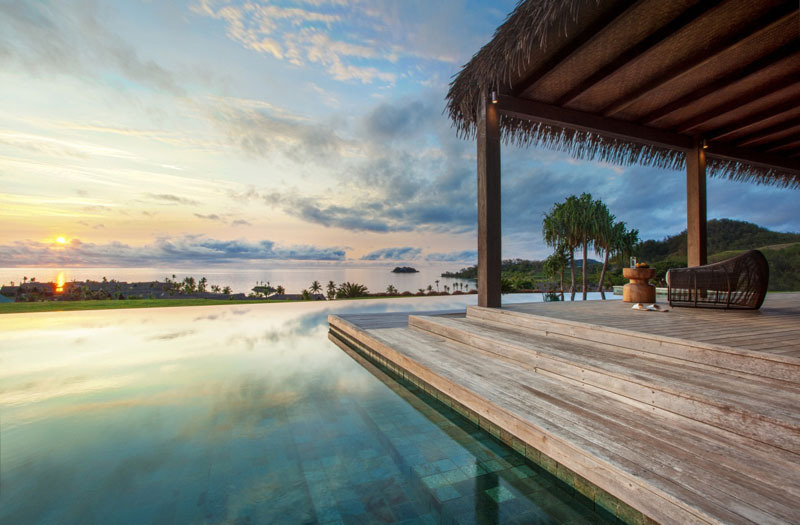 Private infinity pool and private deck and BBQ. Beachfront Pool Residence (4 in totoal) – 2, 3, 4 or 5 bedroom with 4,6,8,10 max. occupancy per residence respectively. Situated directly on the beachfront. 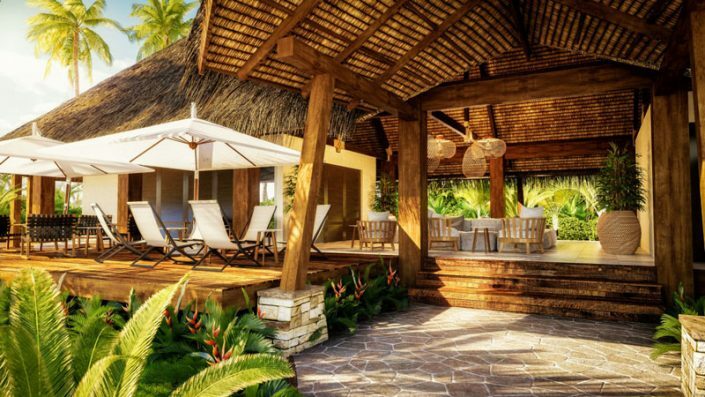 The ultimate beach holiday house. The one-bedroom Hideaway Pool Suite Villas can accommodate two adults plus two children under 12 years while the larger two-bedroom villas can accommodate four adults plus two children under 12 years. 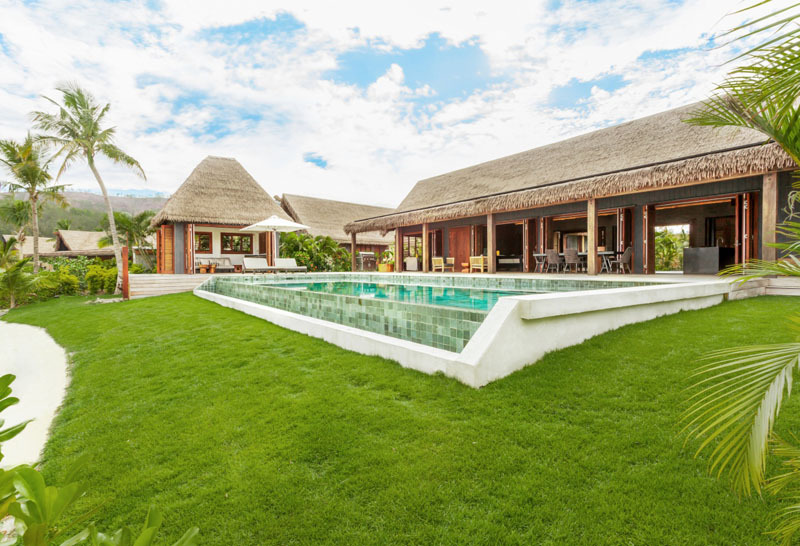 Both the one-bedroom Hideaway Pool Villas and Beachfront Villas can accommodate two adults plus one child under 12 years. The sofa in the living area is turned into a bed. Children aged five years and below stay and eat for free from the children’s menu. For children aged six to 11 years breakfast is free with 50% off regular menu. Full price from dedicated children’s menu. Guests will be offered a contemporary spin on traditional Fijian and international dishes. 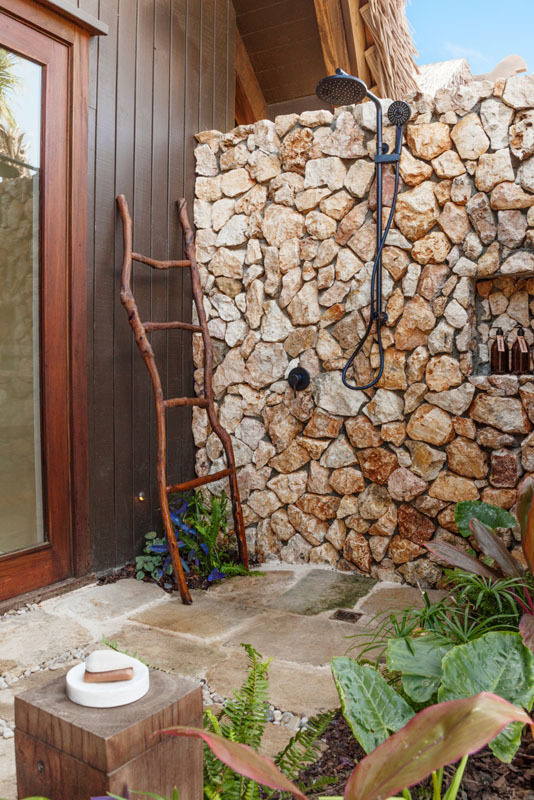 Fresh organic produce with a choice of five dining venues and private in-residence dining. RaRa Cafe & Bar – Informal dining on the marina. The “Village Square” of the resort. Teitei Pizzeria – Cooking school and pizzeria that adjoins the outdoor theatre. Tovolea Bar and Lounge – Facing the water specialising in cocktails with a view. Happy hour starts here. Babysitting upon request. All residences are provided with free nanny service (8 hours per day). 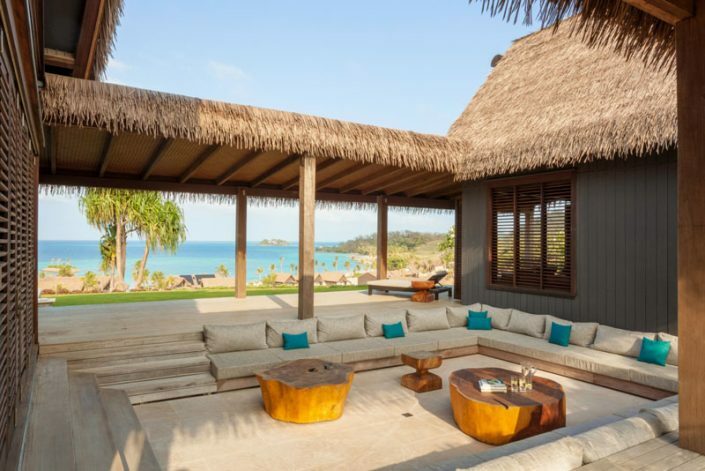 We’ve had our ears to the ground since the annnouncement Six Senses was making a home in Fiji. 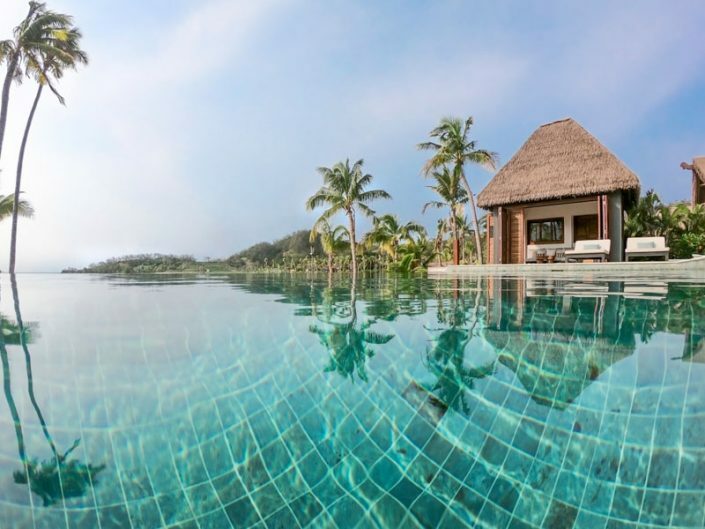 And we’ve made a collation of “Fast Facts” – the most up to date information available on this new Fiji resort.